Login PHP script is used to create a registration and login system for your website in the fraction of time. 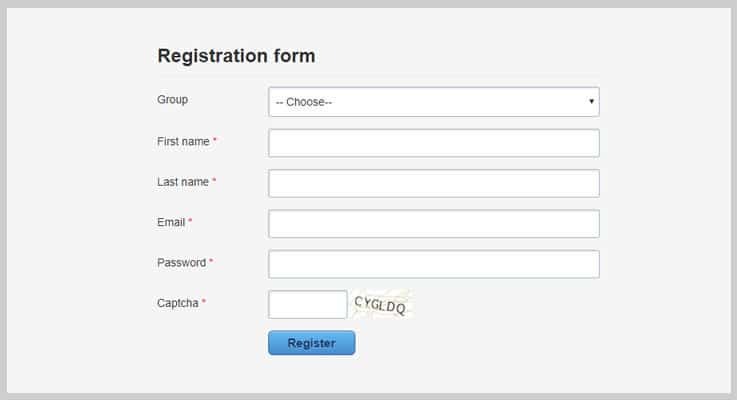 These scripts allow you to create registration and login forms by adding proper fields in the forms which helps you to receive user data at the backend. Further, the admin has the power to validate the user’s data for preventing their site from spammers. We are here with the list of 5+ best login PHP scripts which are full of features such as MySQL database, inbuilt payment gateways like PayPal which helps you to collect payment from the users for becoming the member of your site and a lot more. It verifies the email address of your users before registration which gives a proper authentication to your website membership forms. After registering on your site, the users can generate a password whose maximum and minimum length can be customized by the admin. Further, the users can log in into their profile with the given email id and password. There are a lot more features included in these login PHP scripts. Let us discuss each one of them in detail. It is a user management login script which is used to manage your website users in the backend of your site. The script can be customized so, the admin is allowed to make changes in the code according to their choice. Further, admin can add, edit or delete the users or users groups. Also, the website owner can change various site settings in just a few clicks. The script provides you a secure login panel. You can add the reCaptcha feature which helps in preventing your site from automated bots registrations. At the time of registration, you can verify the email of users which prevent your site from hackers or spammers. Further, your users can generate their password for further login purpose. Users can change their profile pictures, passwords, email addresses and more anytime according to their need. Also, it has an forget password feature so, if users can forget their password, they can retrieve it in the fraction of time. 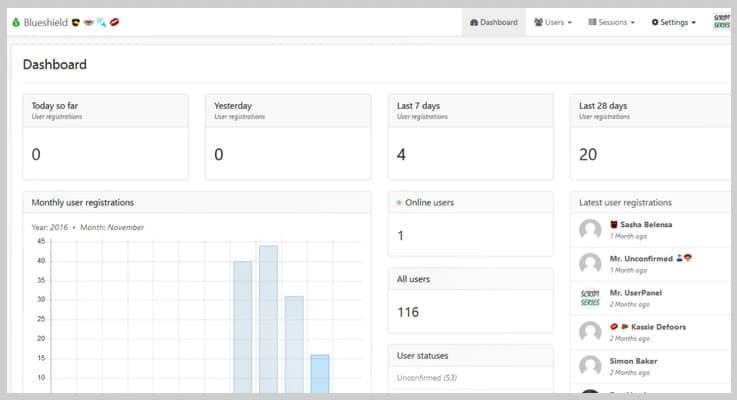 In the admin panel, the website owner can view and display active users. They can keep a complete record of user’s registration date, last login date, IP addresses etc in the backend and manage them properly. Regular License – This plan available at $20 in which you will get regular updates and 6 months support. Extended License – Buy this plan at $105 with all the features of the regular license along with some advanced features. It is a simple PHP login script which is used to design or manage your website user login forms. Here, your users can register using the sign-up form and activate their account by verifying their email id. Using this script, users can log in to your website via their social media accounts such as Facebook. The admin has a full control of their website. They can add new users, edit existing users. Also, the admin has the power to delete, suspend, ban and deactivate users according to their requirement in the admin panel. Whenever a user wants to change their password or if they forget their password then, there is an option of request to reset the password. Here, users can reset their password after verifying the registered email id. The script provides you a message center so, admin can send a message to any user also, users can send a message to admin or other existing users too. Moreover, message center feature support sent items, inbox, new message, and more. The extended license is available at $110 with regular future updates, 6 months support and advanced features. It is an advanced user management PHP script, the admin can manage the user login page, users information and more in the admin panel. The important feature in it is, the admin is allowed to add unlimited custom fields in the registration panel according to their choice. Using this script, the website owner can send messages to users from the admin panel. 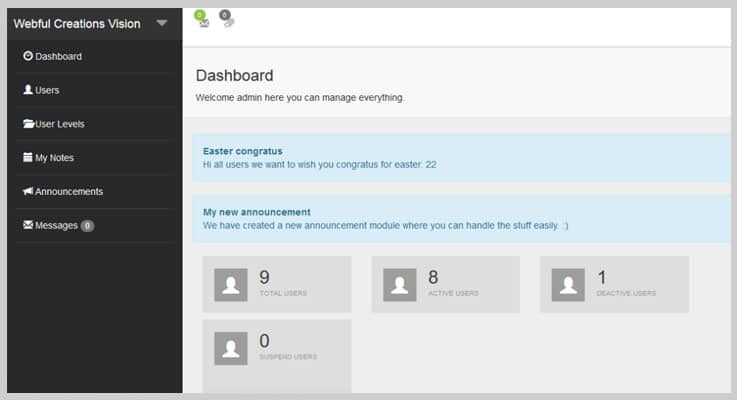 Also, it allows your users to communicate with you via a message which you can receive in the backend. It provides you with three themes layouts and 26 custom skins which you can apply on your website and give it a perfect look. Here, the admin can switch between different themes and skins according to their choice. There is a sorted dashboard where admin can view their activity log, users info like name, email, gender, status and a lot more. This script provides you with three inbuilt email templates which can be customized according to your need. 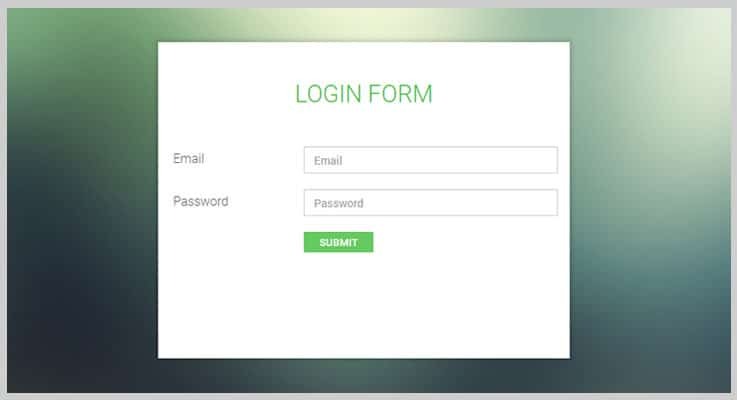 Buy this login PHP script at just $21 with 6 months support and regular updates. Further, the extended license will cost you $85 which gives you more enhanced features and quality checked by Envato. This script secures your website in the most possible way. It enables you to create password protected areas on your website. These areas can only be accessed through a membership account which users can create by filling a registration form. Using this script, the website owner can create group user access. Here, the admin can give a selective access to any content and downloadable files on their website to the members. You can sell your membership to your users and collect money from them via PayPal and Authorize.Net payment gateways integrated into this script. The admin can set autoresponder messages which will be automatically sent to users via email. The users are allowed to directly login to their profiles via social media accounts such as Facebook, Google+ and more. User License – This plan will cost you $29 in which you will get free support, updates, and custom modification features. Developer License – Buy this plan at just $69 with all the advanced features and regular updates. Blueshield advanced PHP login script helps you to create a website with user registration, and user login forms. It provides secure user registration and login part. Here, you can verify the email of users at registration time. Further, at the time of login, your users are asked to fill the Google reCaptcha which prevents your site from spammers. There is a remember me option available in the user’s login home page. Whenever a user visits the same web page with the same device, they need not type their email or password once again. Blueshield login PHP script has multilingual support. That’s why it is very easy to change the language of front-end and backend according to your choice. 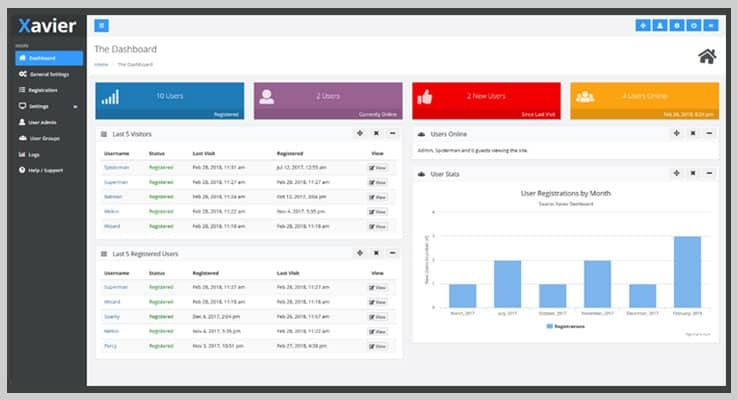 The script consists of interactive admin dashboard. Here, you can manage your users listing, users registration on the basis of a weekly, or monthly basis, online users and a lot more. Get this login PHP script at $30 with 6 months support and regular updates. The extended license will cost you $604 which offers you more enhanced features and services. It is a simple yet effective user login and management PHP script. Further, the script provides a nice and clean login form which you can add into your website in just a few clicks. In addition to this, the script is well documented and is very easy to use and install. The script uses MySQL to store the user database like your user’s ID and password. 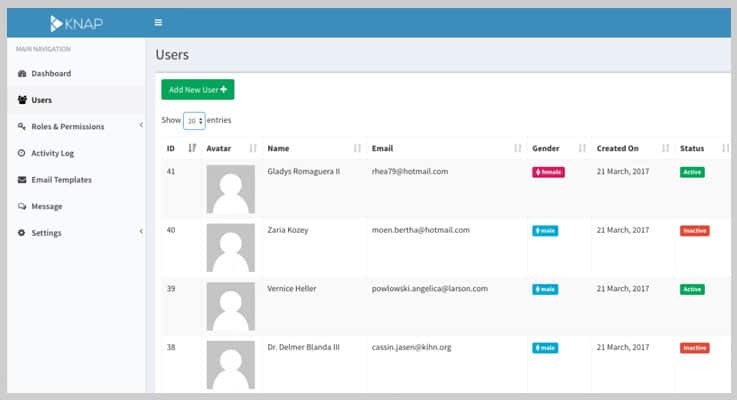 In addition to this, the admin can view the user’s details in the backend of their website. With the help of this script, admin can display a custom message to users after their registration and login to the website. The admin can protect their website content by providing a secure user interface. Further, visitors can register only after the proper email validation process. The script is free of cost, you can download it from the PHPJabbers website. Now, this is all about 5+ best selling login PHP script. All the listed scripts are varies on the basis of their unique features and pricing. We hope you have found the login PHP script according to your requirement. The article has both free as well as paid PHP script, you can choose any one of them according to your need. Further, if you have any queries or suggestions, feel free to share with us in the comment section below.